1590 - 2407 Sq. Ft.
Home is where your story takes its place and there is no place like this. Real opportunity only knocks the door of those who really wish to be in a home space that accentuates all needs every beautifully. Flower Valley Lake Front Towers offers an exclusive space of 3 BHK and 4 BHK high end apartments and the view it offers is breathtaking. 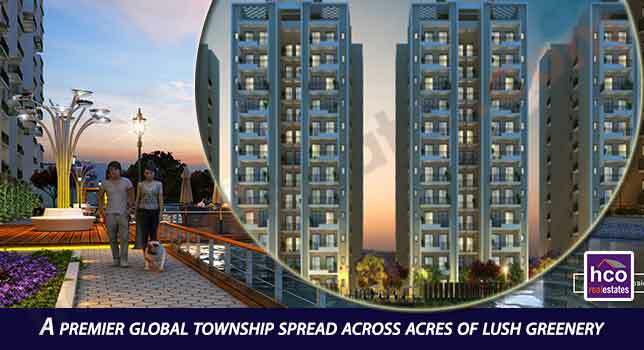 Nature presence, bountiful greenery, fresh ambience because of the presence of lake and more together makes “Lake Front Towers” an ideal realm to be with your family. This project is undoubtedly a heaven. Freedom to pick 3 BHK and 4 BHK high end apartments. Plenty of greenery with Lake view. Exclusive designs, capacious space, sun filled room and more. Diversified range of amenities adds wide comfort. Full security system keeps all residents secured. A truly heaven a true address. This is an ideal heaven for all types of families. This living zone presents a lifestyle that arguably best as it provides a strong alibi to all the families. Just be ready to imbibe that exciting lifestyle, deep satisfaction and strong tenacity to be inside, all these break a galling life. Desires are approachable with intelligence and Central Park builder has worked it so beautifully that Flower Valley Lake Front Towers get all reasons to be best and impeccable. Its location retrenches all the distances. It is smartly planned in sector 32 & 33 Sohna (South of Gurgaon). Enjoy the presence of foothills of Aravalli. This location is a mixture of retail segment, business hub and IT. A grade schools and healthcare in the vicinity. Gurgaon, Delhi and Faridabad approachable. Collectivity, these lake front towers boost the new lifestyle and ensure all the residents lead a galling free lifestyle where everything is so approachable. The time has arrived to really think about a new address that tweaks your style of living.